No joining of rounds and chaining up needed when working this fabulous 10 Point Hot Pad free pattern. 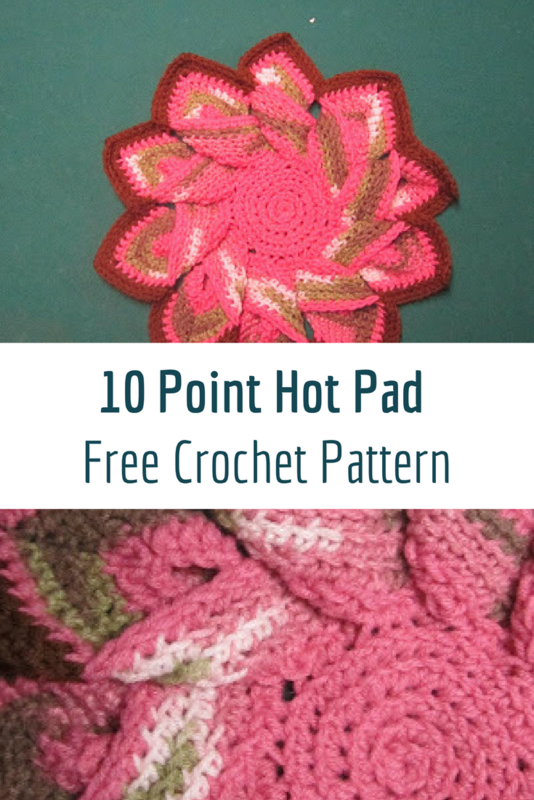 Classic 10 Point Hot Pad by Rachel Gough uses crochet in a spiral techniques to create a really fabulous hotpad pattern that looks best in ombre color yarn. 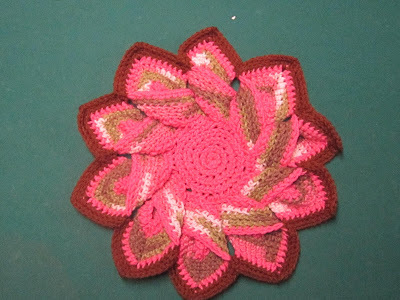 Quite a fast project to make, this interesting star shaped hodpad crochet pattern is lots of fun and great for scraps. If you know how to do foundation single crochet (sc), this project is really easy. The geometric shape and the colors keep it interesting. This Gorgeous Pastel Spring Potholder Will Look Great In Your Kitchen! Thanks to Rachel Gough for the article inspiration and featured image.